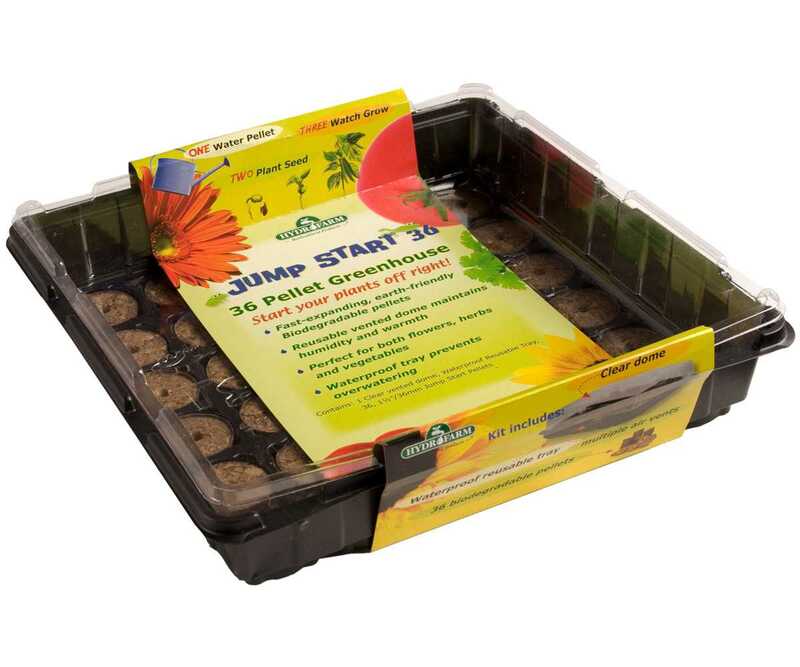 The Jump Start 36 Cell Greenhouse includes 36 biodegradable grow pellets which snugly and securely help seeds germinate and root. Start a vegetable or herb garden right on your windowsill or anywhere else that is convenient in this reusable waterproof tray. Once your seedlings have established roots, transplant them and start over with new pellets and new seedlings or cuttings. The included vented dome maintains humidity and warmth, making it the ideal environment for fragile new growth. Jump Start Greenhouses are perfect for flowers, herbs, and vegetables and are also environmentally friendly when used with the included pellets.